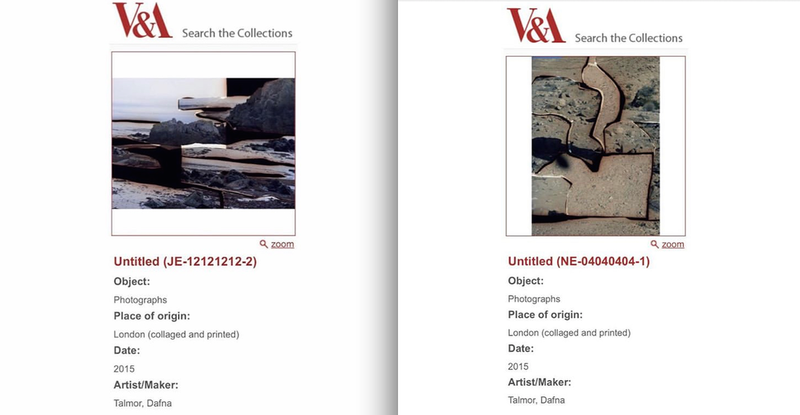 I am absolutely thrilled to announce that two photographs from my Constructed Landscapes series (pictured left) are now included in the permanent photography collection of the V&A Museum. I would like to say a special thanks to Sid Motion, of Sid Motion Gallery (that represents me in London), the V&A Senior Curator of Photography Martin Barnes, Assistant Curator Rachael Chambers, Briony Carlin, the rest of the curatorial team and the Photographs Acquisition Group for making it possible. It is an absolute honour to be included in the collection, alongside so many artists I have admired and been inspired by for years. For more information please visit the V&A catalogue online here or visit the museum Prints and Drawings Study Room, where you can view handling print versions of the work. I'm pleased to announce I will be taking part in a group exhibition at Camberwell Space, Camberwell College of Arts, curated by Duncan Wooldridge. Artists in the exhibition include Lou Cantor, Liz Deschenes, Discipula, David Horvitz, Steff Jamieson, Kensuke Koike, Taisuke Koyama, Louise Lawler, John MacLean, Sarah Pickering, Salvo, Dayanita Singh, Clare Strand, Dafna Talmor, Edouard Taufenbach and Corinne Vionnet. The exhibition will include a special new iteration of Sarah Pickering’s Pickpocket and Pickpocket Workshop, originally commissioned for Manifesta 11, Zurich, in 2016. 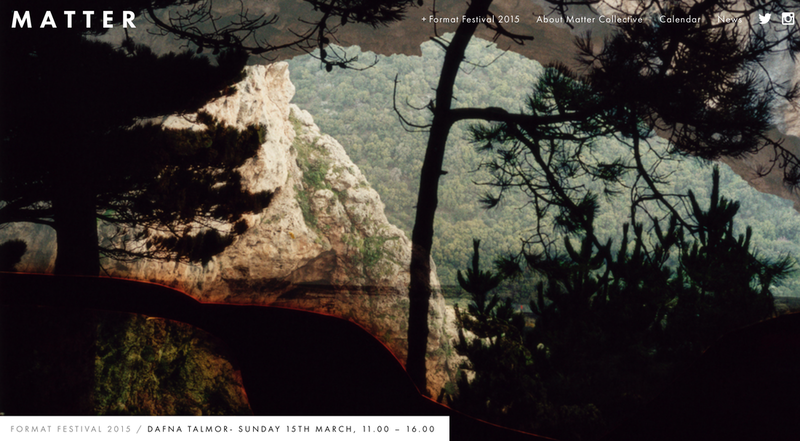 I'm pleased to announce that I will be taking part in MIA Photo Fair with TOBE Gallery alongside artists Akos Major, Dora Kontha and Balint Alovits between the 22nd-25th of March. I am also thrilled to share that I am one of fifteen finalists of the BNL BNP Paribas Group Award. The winner will be announced at the fair. I'm pleased to announce that I will be taking part in a group exhibition curated by Sian Bonnell & Malgorzata TarazKiewicz-Zwolicka alongside artists that include Cheryl Newman, Eleonora Agostini, Flannery O'kafka, Fleur Olby, Lydia Goldblatt, Maryam Wahid, Phoebe Kiely and Sian Bonnell. 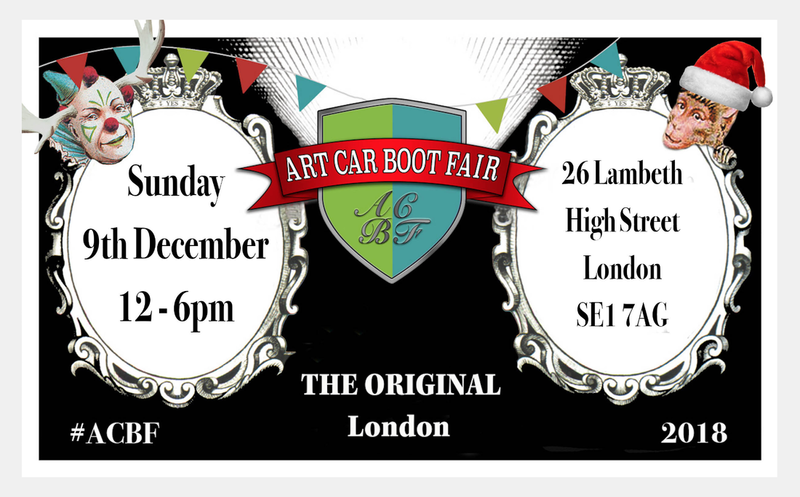 I'm pleased to be sharing a table with artists Sophy Rickett, Rut Blees Luxemburg and Liz Orton at The Art Car Boot Fair Christmas Wrap Party this coming Sunday 9th of December, where we'll be selling a range of prints. 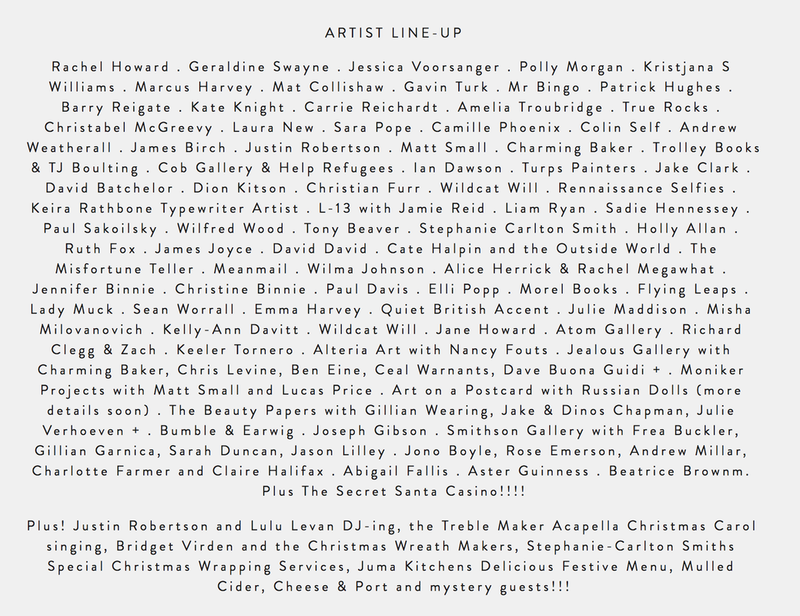 The event will bring together over 70 artists in a covered venue in the heart of Vauxhall's gallery district. Expect incredible Christmas gift bargains, mystery prizes, raffles, pass the art parcel and the Secret Santa Casino! Hand finishing and personalisations directly by the artists. Something for everyone and our off-beat spin on festive fun! Plus! Performances! Plus! Special wrapping and postage services. For a preview of a selection of my work that will be on sale please visit my shop here. I'm delighted to be giving an artist talk hosted by London Independent Photography to coincide with their 30th Annual Exhibition at Espacio Gallery, with work selected from an open call by a panel consisting of Hazel Watts, Wendy McMurdo and Tom Lovelace. I'll be focusing on my Constructed Landscapes series and On Landscape Project, a collaborative initiative co-founded with artists Minna Kantonen and Emma Wieslander. In order to book a free place please visit the LIP website here and make sure to check out the rest of the programme, which includes talks by Thom Bridge, Peter Ainsworth and Alina Kisina. 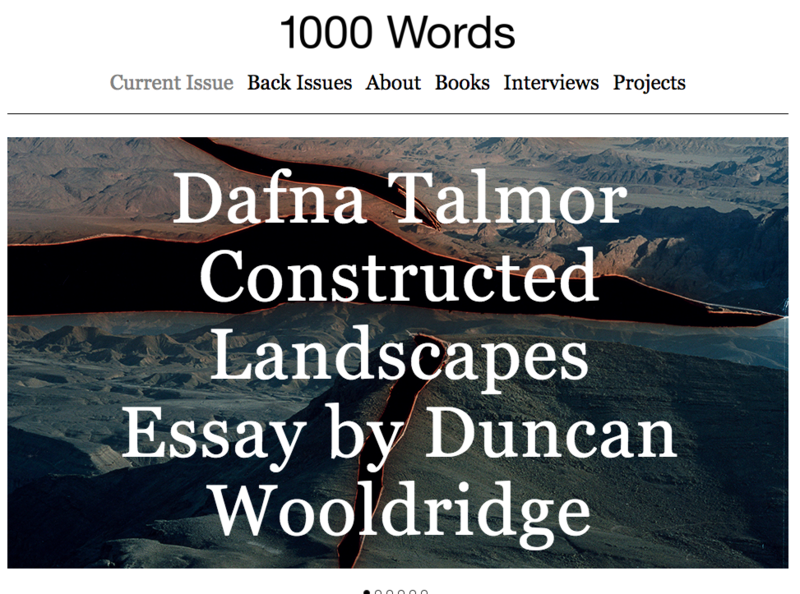 I'm absolutely delighted to have Constructed Landscapes featured in the current issue of 1000 Words magazine with a commissioned essay by Duncan Wooldridge. To read his brilliant essay, view images from the series and check out the rest of the contributions, please click here. 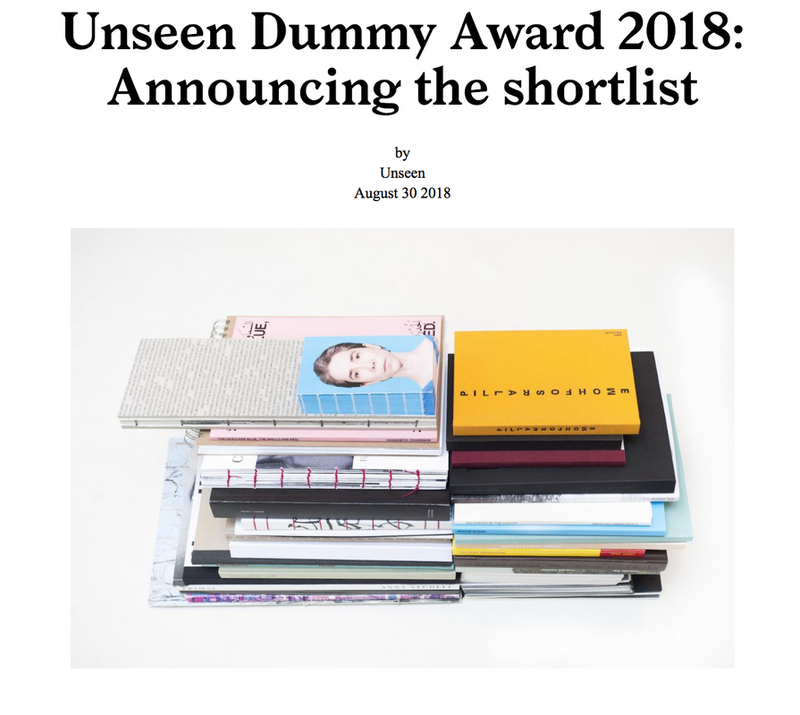 I'm thrilled to announce that my Constructed Landscapes book dummy has been shortlisted for the Unseen Dummy Award and will be displayed at Unseen Amsterdam 2018 in the Book Market, alongside the other shortlisted entries, at Westergasfabriek between the 21st - 23rd of September. Many thanks to Loose Joints for the design and the shortlist selection committee which consisted of Carel Fransen, Stefanie Grätz, Cat Lachowskyj, Dominiek Kampman and Daria Tuminas. On Friday the 21st of September, an international jury comprised of Paul van Mameren (managing director, Lecturis), Sarah Allen (assistant curator, Tate Modern), Tim Clark (editor-in-chief and director 1000 Words), Russet Lederman (co-founder, 10×10 Photobooks) and Małgorzata Stankiewicz (winner of the Unseen Dummy Award 2017) will come together at Unseen Amsterdam to select one photobook dummy from the shortlist as this year’s winner. The winner will be announced at 16.00 on the same day in the Living Room. so please come along if you're visiting Unseen. 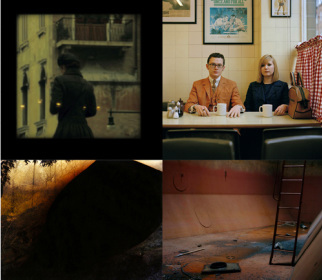 If you wish to view the full shortlist comprised of 32 entries please visit the Unseen website here. I'm delighted to announce that I will be taking part in Unseen Amsterdam, in the CO-OP section, with the London Alternative Photography Collective alongside artists that include Melanie King, Almudena Romero, Hannah Fletcher, Ramona Guntert, Simone-san Mudde, Oliver Raymond-Barker and Diego Valente. In order to raise funds to cover our costs, we have launched a crowdfunder campaign that includes rewards by all of the participating artists such as limited edition prints, publications, workshops and more. For more information please visit our crowdfunder page here. Although the campaign has ended, limited edition prints are still available so please get in touch for more info. I'm delighted to be included in the current Viewpoints on Photography and Landscape, commissioned by Daniel Blight with an essay by Fergus Heron, Built Worlds: Photography, landscape and different natures, and portfolios that include work by Sam Laughlin, Corinne Silva, Karen Knorr, Helen Sears, Susan Derges, Fergus Heron, Xavier Ribas, Beate Gütschow, Susan Tragmar, Dana Ariel, Helen Cammock, Jem Southam, Martin Newth, Guy Moreton, Peter Ainsworth, Rut Blees Luxemburg and Jason Orton. To read the essay and view the featured artists please click here. I am thrilled to announce I have been commissioned by FT Weekend Magazine for their Photo London 2018 supplement, coming out this Saturday May 12th and available online with a subscription. 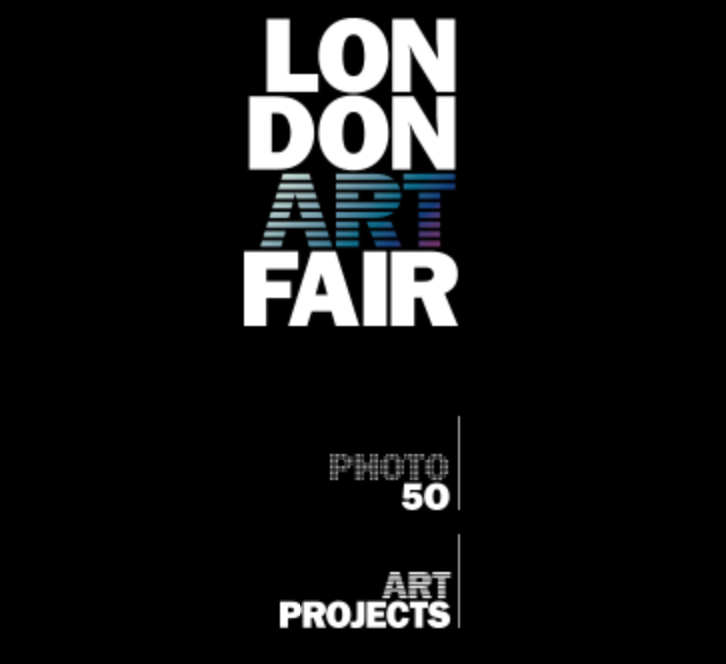 Complimentary copies of the supplement will be distributed throughout the Photo London fair at Somerset House between the 17th-20th of May. 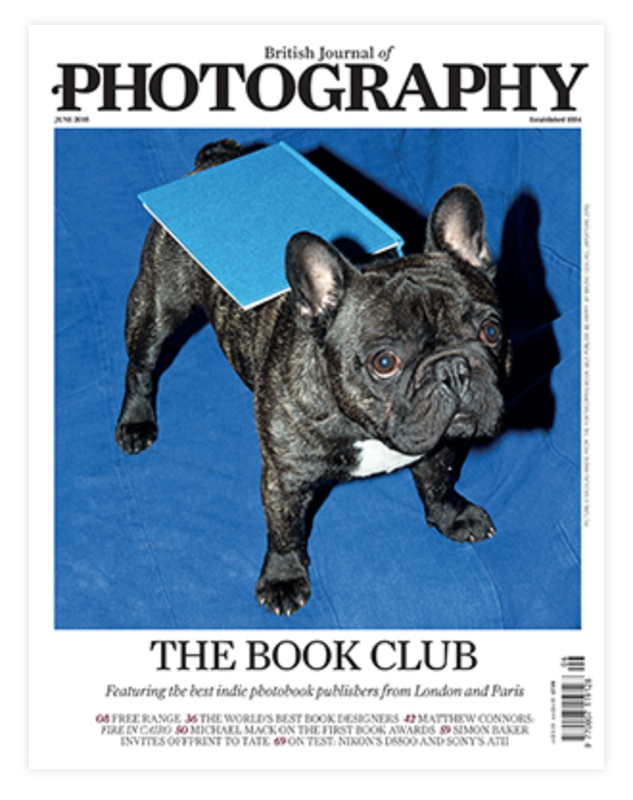 Since Photo London launched in 2015, the FT Weekend Magazine has been producing a 32-page supplement with new commissions from London-based photographers, essays and interviews that explore the influence of leading artists and their works. This year's commissioned 'My London' artists include Campbell Addy, Jonny Briggs and Gillian Wearing. 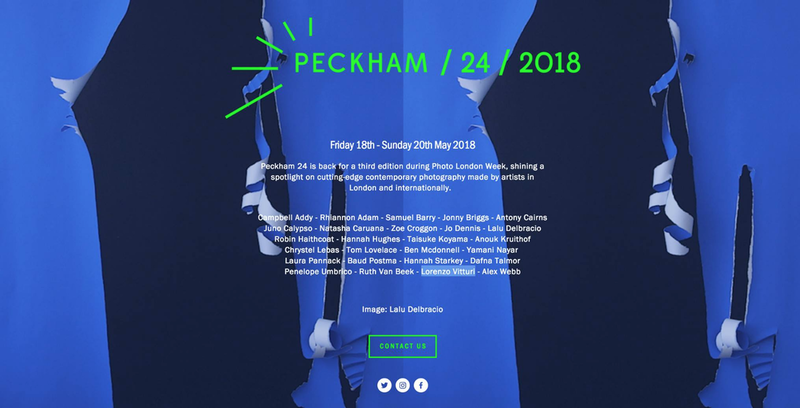 I am delighted to announce that I'm taking part in 'My London', a group show curated by Emma Bowkett, FT Weekend Magazine Director of Photography, at the Copeland Gallery in Peckham, as part of Peckham 24. Participating artist include Campbell Addy, Jonny Briggs, Antony Cairns, Juno Calypso, Chrystel Lebas, Tom Lovelace, Hannah Starkey, Lorenzo Vitturi and I. "Since Photo London launched in 2015, FT Weekend Magazine has published an international photography supplement to coincide with the fair. 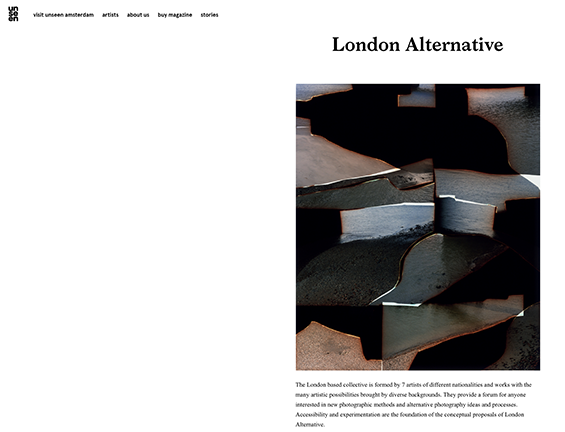 One of its highlights is the specially commissioned portfolios of new work on London by photographers based in the capital. My London brings together a selection of these works as a celebration of the city and the creative vision of the artists living there." ​I'm thrilled to announce that my Constructed Landscapes book dummy has been shortlisted for MACK's First Book Award and will be displayed at Photo London 2018 alongside the other shortlisted entries at Somerset House between the 17th - 20th of May. Many thanks goes to Antigoni Memou for the nomination, Loose Joints for the design and the panel of judges, Hannah Starkey, artist, Amira Gad, Exhibitions Curator at Serpentine Galleries, Martin Barnes, Senior Curator of Photographs at the Victoria & Albert Museum, Polly Fleury, Director of Special Projects at the Wilson Centre for Photography and Michael Mack, publisher of MACK books. 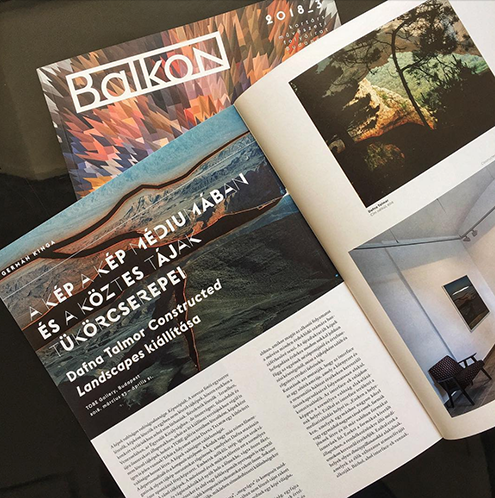 I'm pleased to share that Constructed Landscapes has been featured in the art journal Balkon with an essay by Kinga German, written on the occasion of my solo show at TOBE Gallery. 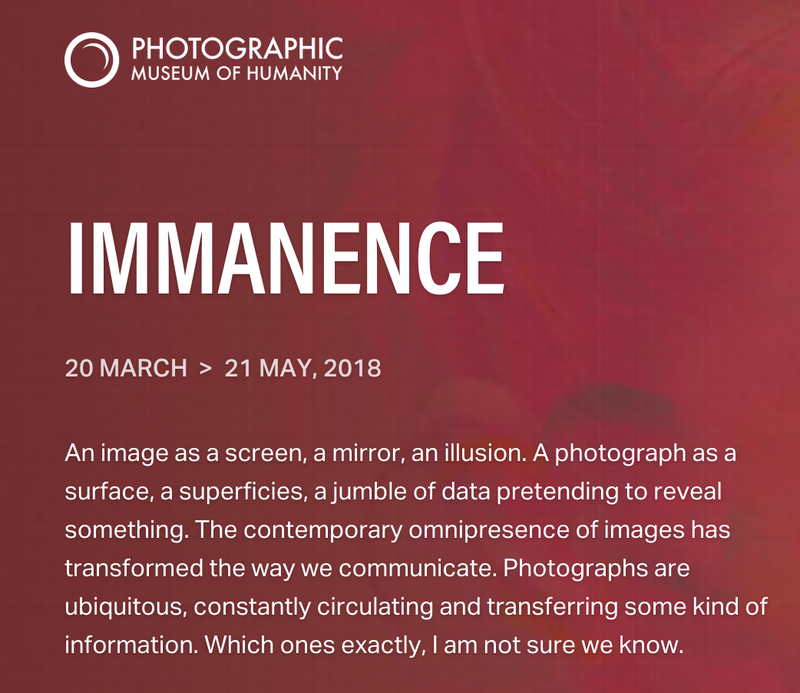 I am pleased to announce I am taking part in Immanence, a group show curated by Magali Avezou at PHmuseum. Participating artists include Lewis Bush, Stefano Canto, Giuseppe De Mattia, Ina Louguine, Alejandro Marote, Liz Orton, Matthew Swarts, Masaru Takahashi and Fosi Vegue. "This exhibition proposes a look at artists using photography to reflect upon the ambiguity of vision. 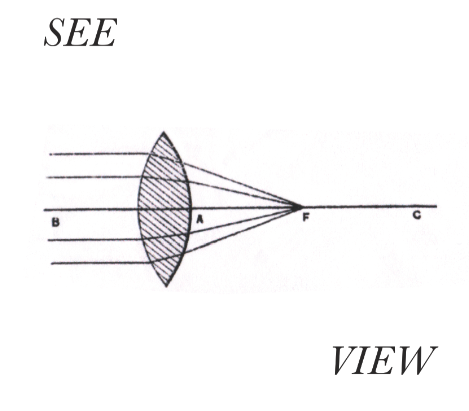 In their research, they twist the representative nature of the image to explore what is not visible. They look at themes such as the complication of communicating, the fleeting affects, the fragmentation of experiences, political secrets, prostitution, the relationship to our inner body, visual love, and social conventions." It gives me great pleasure to announce I will be taking part in a group pop-up show curated by Gemma Padley at Coalhouse Fort in East Tilbury. More information can be found on the New:Defence website and you can also read more about the show in features on BJP and Photomonitor. I'm delighted to announce my upcoming solo show, featuring a selection of work from my ongoing Constructed Landscapes series, is due to take place at TOBE Gallery between the 23rd of March until the 27th of April. I'm thrilled to announce I'm featured in the current issue of Elephant Magazine in the New Establishment section. Big thanks to Muriel Zagha for the interview and to photographer Ben McMahon for the portrait. In order to purchase a copy please visit the Elephant website here. 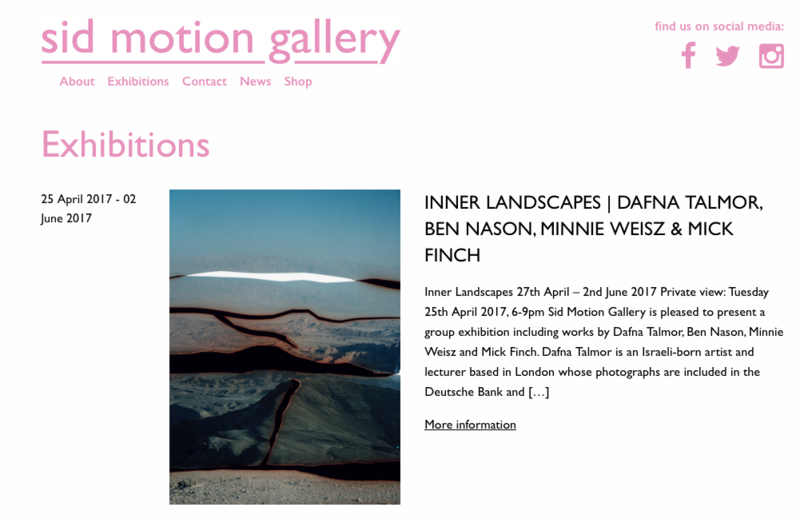 My recent first UK solo exhibition that took place between the 9th of March - 6th of April, 2017 was reviewed by Katy Barron for Photomonitor. To read the review please visit the Photomonitor website here. To view documentation images of the exhibition, generously funded by Arts Council England, please click here. I'm pleased to announce that I'll be taking part in a group exhibition at Maddox Arts featuring work by Amparo Sard, Caroline Rothwell, Elizabeth Magill, Céline Frers, Emilia Sunyer, Mercedes Baliarda, Renata Fernandez and I. For more information please visit the gallery website here. 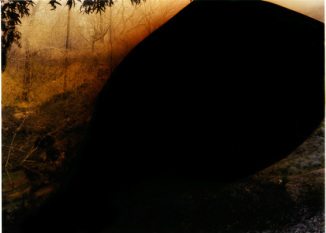 ​"Meadow Arts brings a vibrant programme of contemporary art to Weston Park for the first time. Renowned contemporary artists have been invited to explore Weston Park and its history, responding to ‘Capability’ Brown’s grand landscape and James Paine’s architecture with newly commissioned work and a group exhibition. Meadow Arts bring unique contemporary art projects to places where art is not usually shown, supporting artists by commissioning new work and creating inspiring events and exhibitions for new audiences." For more information please visit the Meadow Arts website here. The group exhibition at the Sid Motion Gallery including work by Ben Nason, Minnie Weisz, Mick Finch and I that took place between the 24th of April - 2nd of June was featured on Wallpaper. To read the piece by James Warren please click here. The group exhibition at the Sid Motion Gallery including work by Ben Nason, Minnie Weisz, Mick Finch and I that took place between the 24th of April - 2nd of June was featured on AnOther. To read the article by Billie Muraben please click here. I am pleased to announce that I will be taking part in a group exhibition at the Sid Motion Gallery including work by Ben Nason, Minnie Weisz and Mick Finch. For more information please visit the gallery website here. 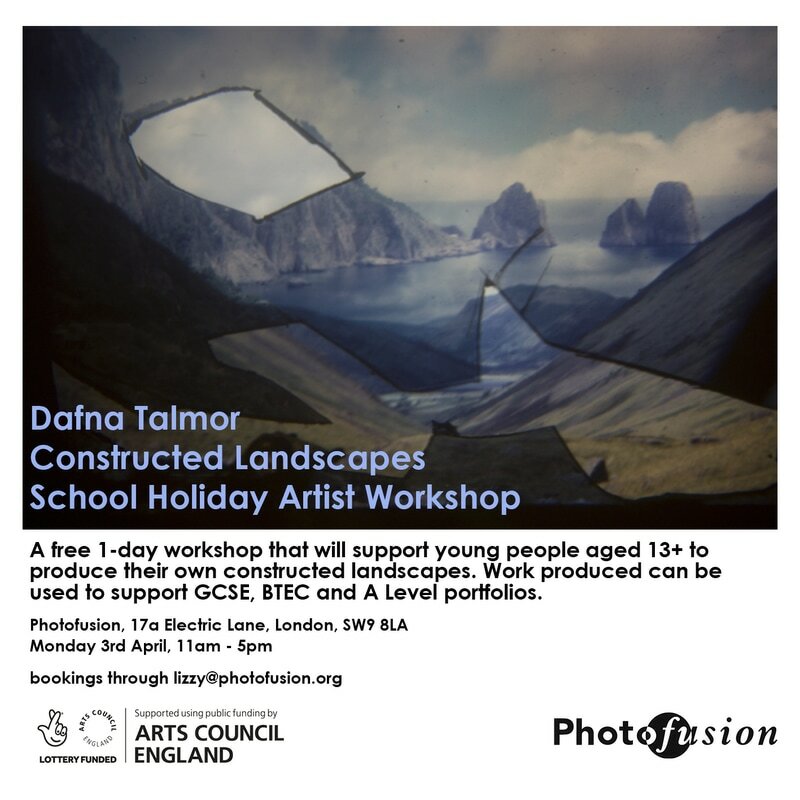 This workshop is funded by Arts Council England and supported by Photofusion. 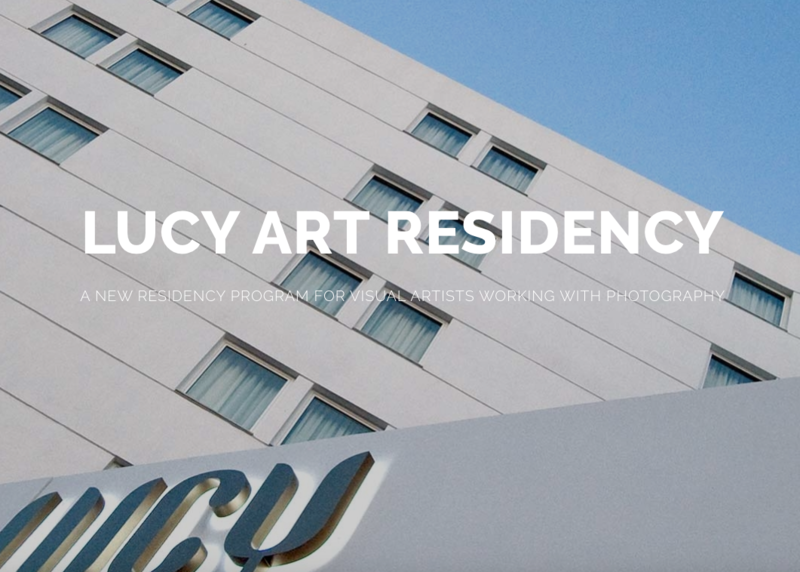 I am pleased to announce that I was shortlisted for the Lucy Art Residency programme which offers the opportunity for an artist based in Europe and the Mediterranean whose main practice is photography focused to spend two weeks in Kavala, Greece. The jury was comprised of Kim Knoppers (Curator at FOAM), Shoair Mavlian (Curator at Tate Modern), Sara Dolfi Agostini (advisory member of the photography board of Triennale Museum in Milan) and Arsen Kalfayan (co-founder of Kalfayan Galleries). To view a list of all shortlisted artists and the selected winners please visit the Lucy Art Residency website here. 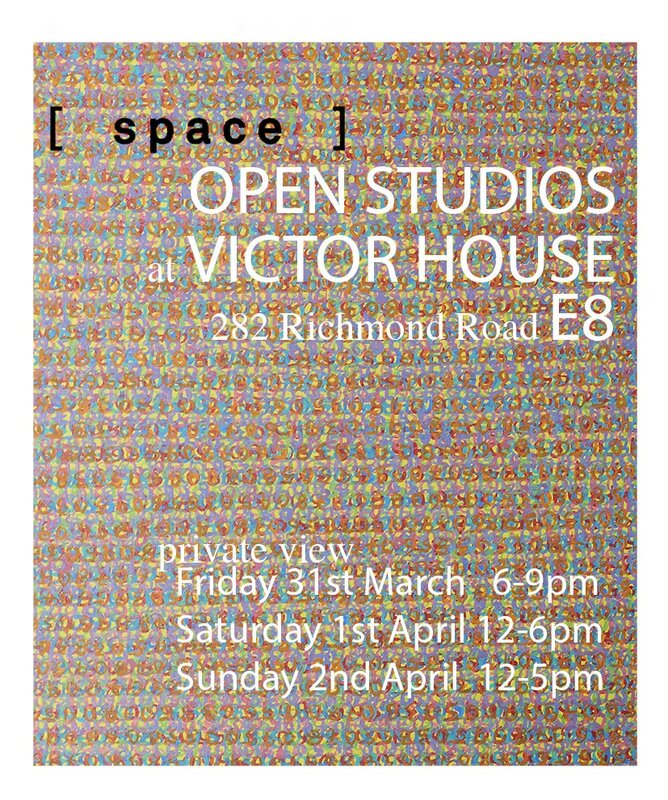 Please join us at our open studios event at Victor House by London Fields in Hackney. 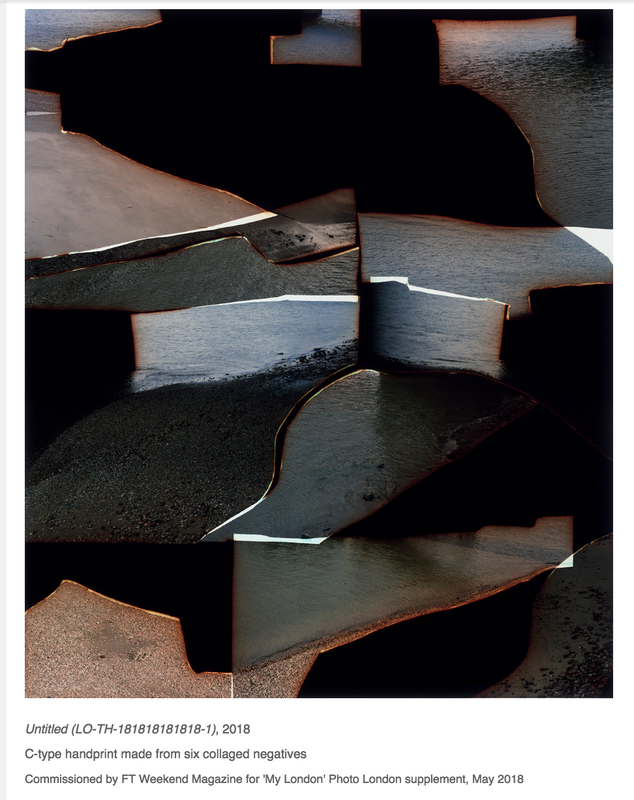 I'll be showing work and process material from the Constructed Landscapes series, currently on show at Photofusion. A range of one-off bookmarks made from test prints, limited edition prints and copies of my short run publication - designed by Loose Joints with commissioned texts by Sarah Butler, Miranda Gavin, Gemma Padley, Shoair Mavlian and Olga Smith - will be available. A range of work that includes painting, print, sculpture, photography and design at SPACE's Open Studios will be on show throughout the weekend. 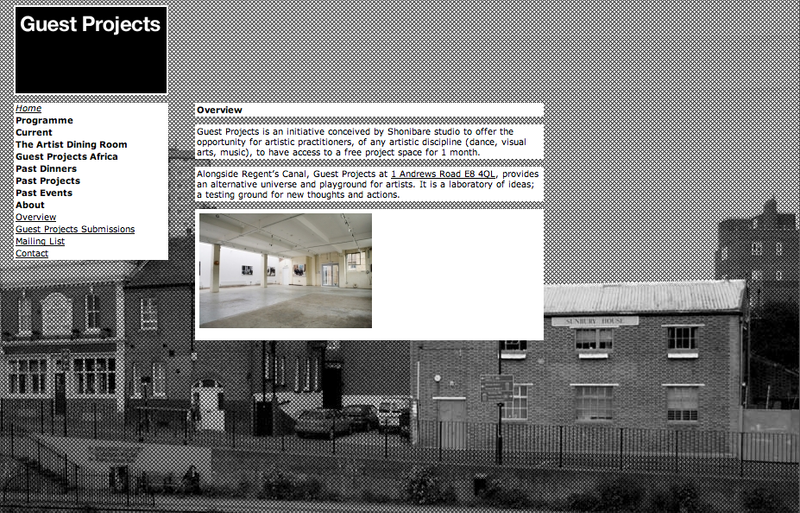 For directions and transport links please visit our studio website here. 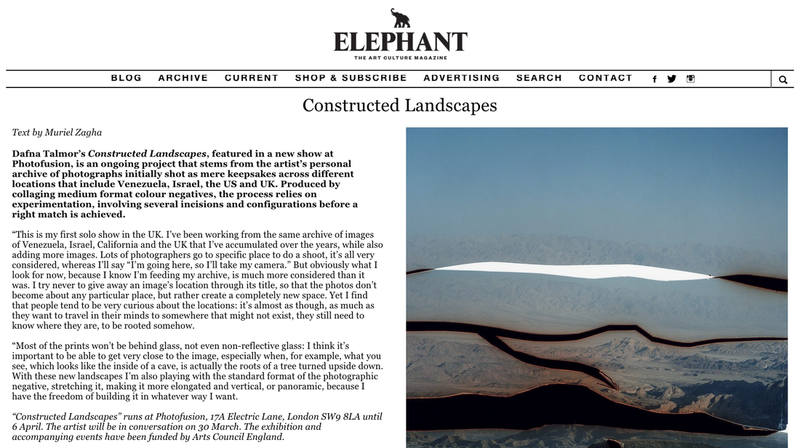 Work from my Constructed Landscapes series - included in my solo show at Photofusion between 9 March - 6 April, 2017 - is featured on Elephant with text by Muriel Zagha here. 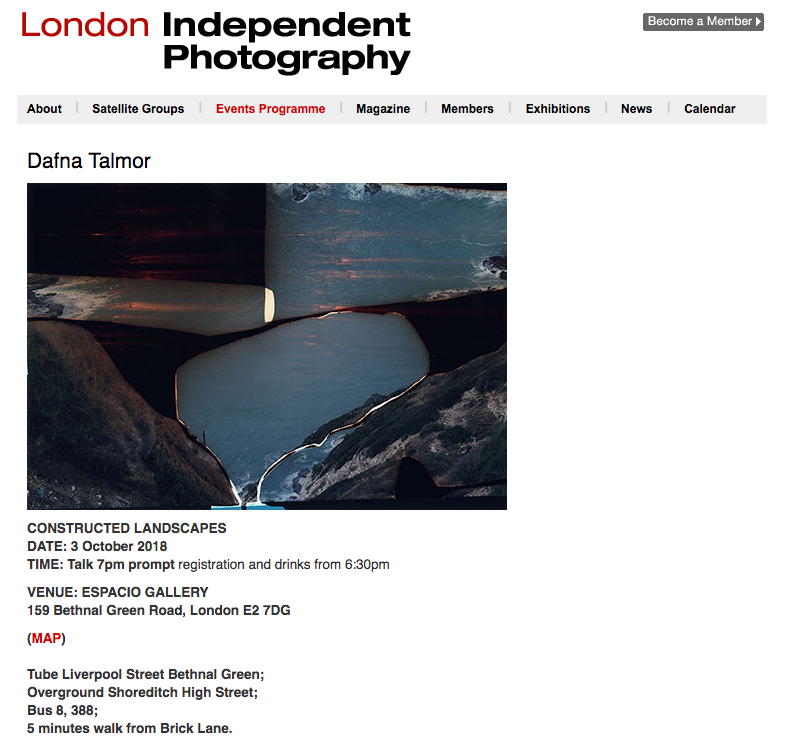 Work from my Constructed Landscapes series is featured on The Independent Photographer. "The Independent Photographer is a global community dedicated to sharing and bringing exposure to the work of photographers. From emerging to established artists, we aim to inspire and connect like-minded people with a passion for photography. We promote and celebrate talent from all around the world." To view the images and for more information please click here. To coincide with my solo show at Photofusion, I've produced a short-run publication designed by Loose Joints with commissioned texts by Sarah Butler, Miranda Gavin, Shoair Mavlian, Gemma Padley and Olga Smith. This publication and limited edition print has been funded by Arts Council England. To coincide with my solo exhibition at Photofusion, I ran a workshop in collaboration with Lizzy King. The workshop was part of an all-day event, Off White! 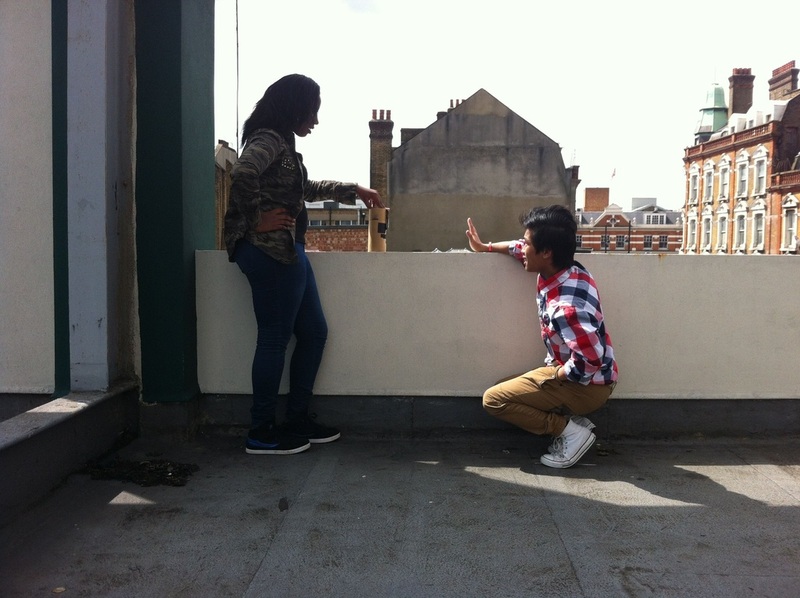 Becoming Visible and Taking Control, programmed by 198 Contemporary Arts & Learning, a Tate Exchange Associate. More information can be found here. This workshop was funded by Arts Council England. 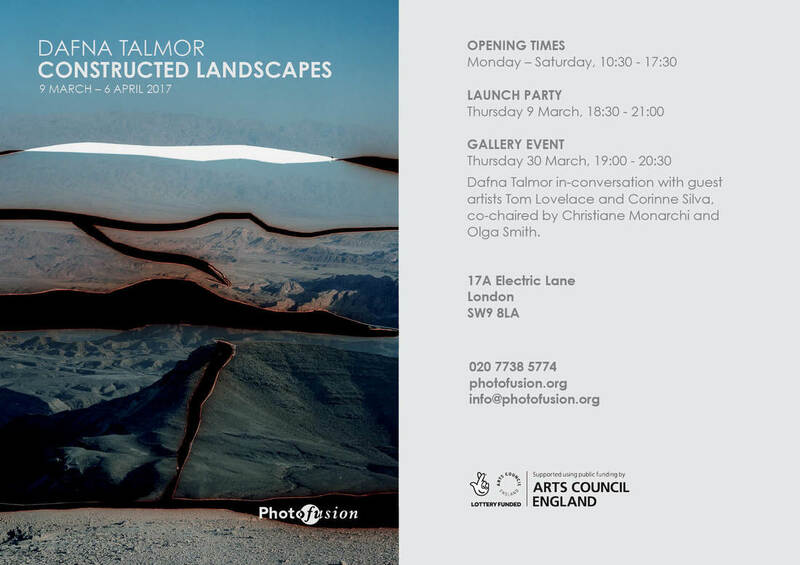 I'm delighted to announce my first UK solo show, featuring a selection of work from my ongoing Constructed Landscapes series, is due to take place at Photofusion Gallery between the 9th of March until the 6th of April. A short-run publication designed by Loose Joints, with commissioned texts by Sarah Butler, Miranda Gavin, Shoair Mavlian, Gemma Padley and Olga Smith, produced to coincide with the exhibition will be launched at the opening event. The exhibition, publication and event is generously funded by Arts Council England. 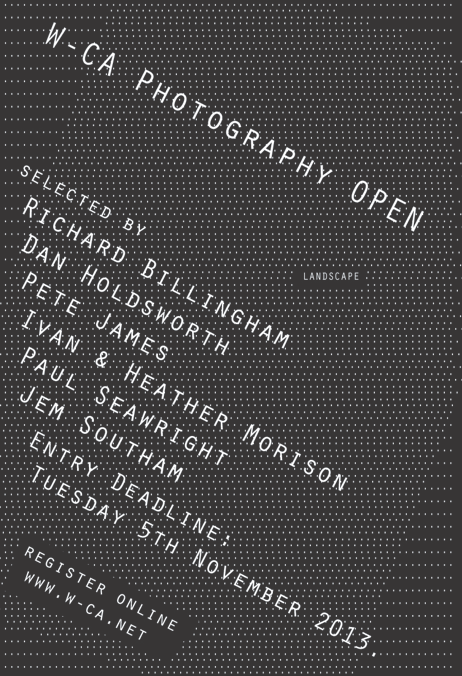 More information about the exhibition can be found on the Photofusion website here. 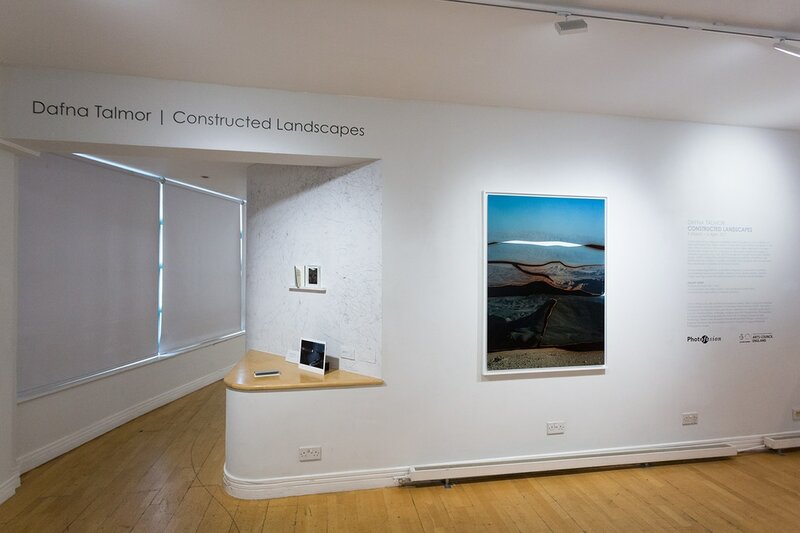 I'm delighted to announce that I have been awarded Grants for the Arts funding by Arts Council England for my first solo show in the UK, Constructed Landscapes, due to take place at Photofusion, London between 9 March - 6 April, 2017. A panel discussion with Tom Lovelace, Corinne Silva, co-chaired by Christiane Monarchi and Olga Smith, at Photofusion and a workshop that will take place at Tate Exchange, Tate Modern has been programmed to coincide with the exhibition. An accompanying publication - designed by Loose Joints with commissioned texts by Sarah Butler, Miranda Gavin, Gemma Padley, Shoair Mavlian and Olga Smith - will also be produced and launched at the opening. For more information please visit the Photofusion website here. I'm delighted to be taking part in a panel discussion with four other artist practitioners discussing the importance of materiality in their practice, including the manual creativity of darkroom practice, pinhole cameras, alternative processes, and the physicality and sculptural possibility of the print. Panel artists will include Sophy Rickett, Martin Newth, Almudena Romero, Edouard Taufenbach and I. The discussion will be chaired by Kim Shaw, Executive Director of Photofusion. The talk is free with a London Art Fair ticket but booking is recommended. More info can be found here. 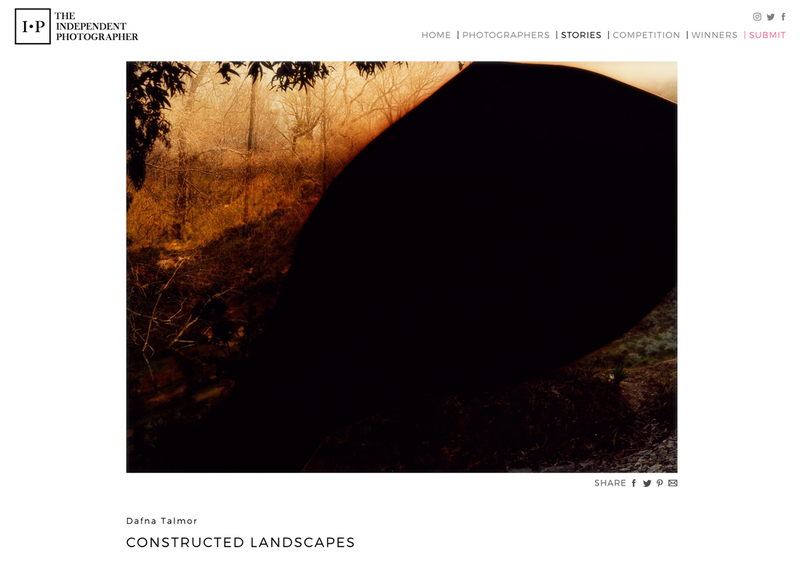 I'm excited to announce my Constructed Landscapes series has been featured in the Portfolio section of the special issue of Photography & Culture published by Routledge, Taylor & Francis Group. 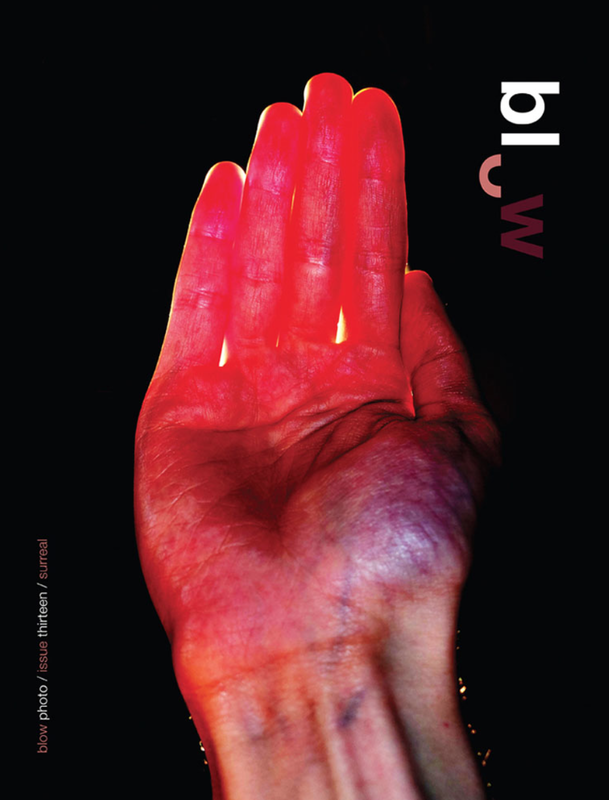 Guest edited by Monica Takvam and Sam Vale, this issue was produced as a follow up to the Nostalgias:Visualising Longing conference Vale and Takvam co-convened in collaboration with Canterbury Christ Church University and PARC at London College of Communication, UAL in 2013. For more information please click here. To view the full issue please click here. I'm taking part in a group show curated by Peter Fillingham and Roger Clarke at QPark, an underground car park in Cavendish Square. More information including opening times and a full list of participating artists can be found on the flyers to the left. the project can be found here and about the conference here. I am delighted to announce that an image I entered from the Constructed Landscapes series for the HABITAT Open Call has been selected to be featured in the FORMAT17 HABITAT Open Call Competition Gallery. More information can be found here. 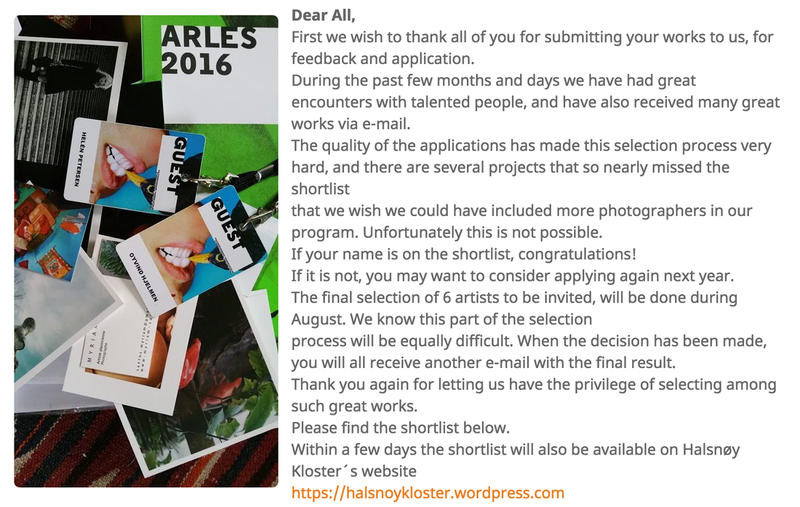 I am delighted to announce I have made it through the first round of applications for the Air Halsnøy Kloster residency programme. SUNNHORDLAND MUSEUM invites artists working with photography as their means of expression to come to the island of Halsnøy, off the west coast of Norway, to stay and work. More information, including the final selection, can be found here. 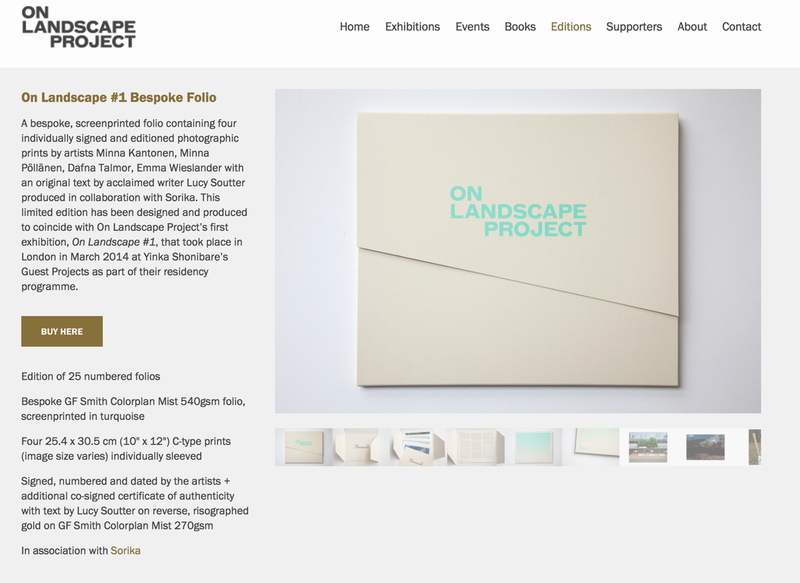 My collaborative initiative On Landscape Project has been featured in an online interview by the #Photography journal. 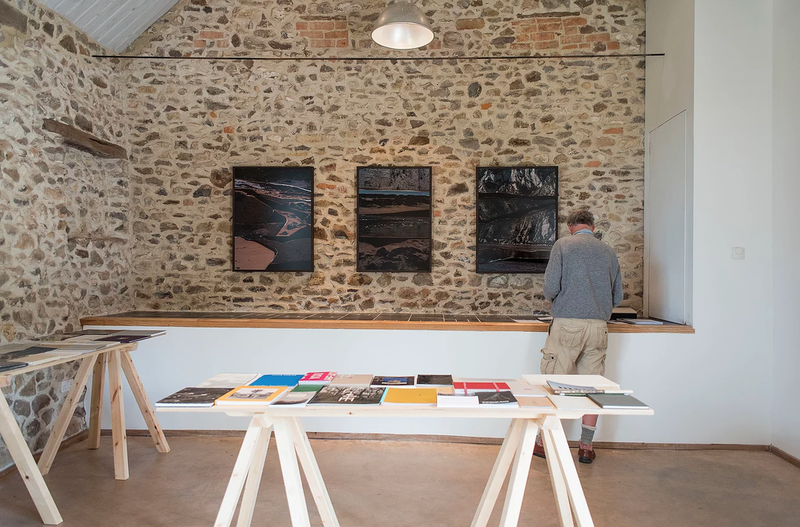 Please visit their website to read more about our project and recent exhibition, On Landscape #3, at Lower Hewood Farm here. I'm taking part in a group show with work by Mercedes Baliarda, Cecilia Bonilla, Lucía Pizzani and Kati Riquelme at VERDI_VERD in Barcelona. More information including a curatorial text by Elisa Rodríguez Campo can be found here. I'm delighted to announce On Landscape Project, an initiative co-founded with artists Minna Kantonen and Emma Wieslander, will be presenting their third exhibition in collaboration with Lower Hewood Farm and Common Ground. 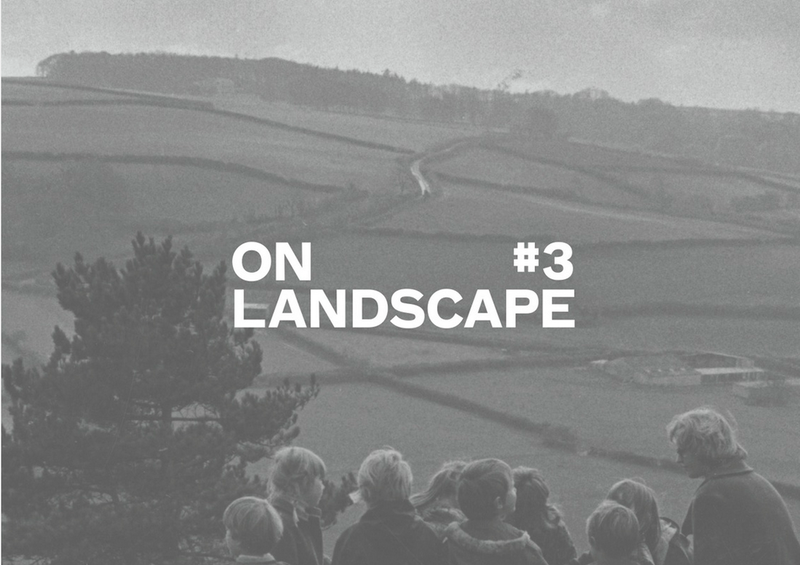 On Landscape #3, featuring renowned artist James Ravilious’ (1939 - 1999) photographs alongside Kantonen, Talmor and Wieslander’s work, will also include site-specific installations, slide projections, video and a selection of artist books. The On Landscape Project library will be displayed alongside a selection of Little Toller publications and Lower Hewood Farm’s Survival Library by Standart Thinking. More information can be found here. My work has been included in Maria Kapajeva's online curatorial project One Image Story, a collection of two-minute stories told by artists about an image they have selected through discussion with Kapajeva. The project is an ongoing archive of stories from all over the world. To access this fascinating archive please visit the One Image Story website. 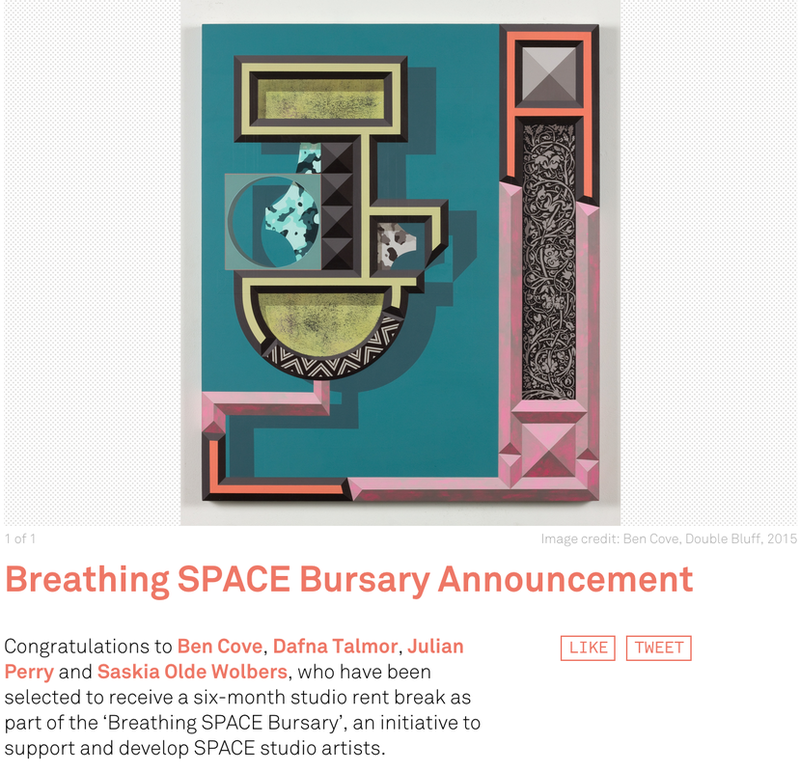 I am delighted to announce I have been awarded one of four Breathing SPACE Bursaries by SPACE Studios. SPACE's generous support will buy me time in the studio to develop work for upcoming exhibitions and publications. More details will be posted in my News section in the coming months. 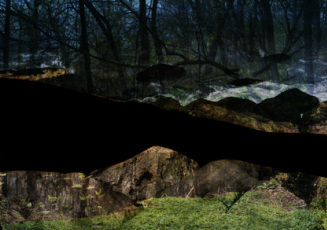 I'll be showing work from the Constructed Landscapes series, including current work in progress not shown previously. A range of one-off bookmarks made from test prints (pictured left) and limited edition prints will be on sale. Please join us for some festive drinks and see a range of work that includes painting, print, sculpture, photography and design at SPACE's Open Studios. For directions and transport links please visit our studio website here. *My bookmarks will also be on sale at Pullens Yards Open Studios between the 4th-6th of December at Peacock Projects at 13 Peacock Yard, Iliffe Street, London SE17 3LH. More information can be found here. An image from my Constructed Landscapes series (pictured to the left) has been selected for Photofusion's Annual Members' exhibition. For more information, including a full list of over 100 artists showing a diverse range of photographic work, please visit the Photofusion website here. I'm pleased to announce that my work has been included in Issue 13 - Surreal of BLOW Photo, Ireland’s only large format publication dedicated to photography. Each issue follows a different theme and acts as a hand held exhibition for some of the best photographers around the world. BLOW was nominated for Lucie Awards in the Best Photography Magazine of 2013 category. For more information on Issue 13 and to purchase a limited edition copy please click here. I've been invited to lead a practical, half term workshop, where modern manipulation techniques for splicing, combining and collaging photographs will be explored. This youth workshop was programmed to coincide with the Noémie Goudal exhibition Southern Light Stations. ​More information and some documentation of the workshop can be found here. 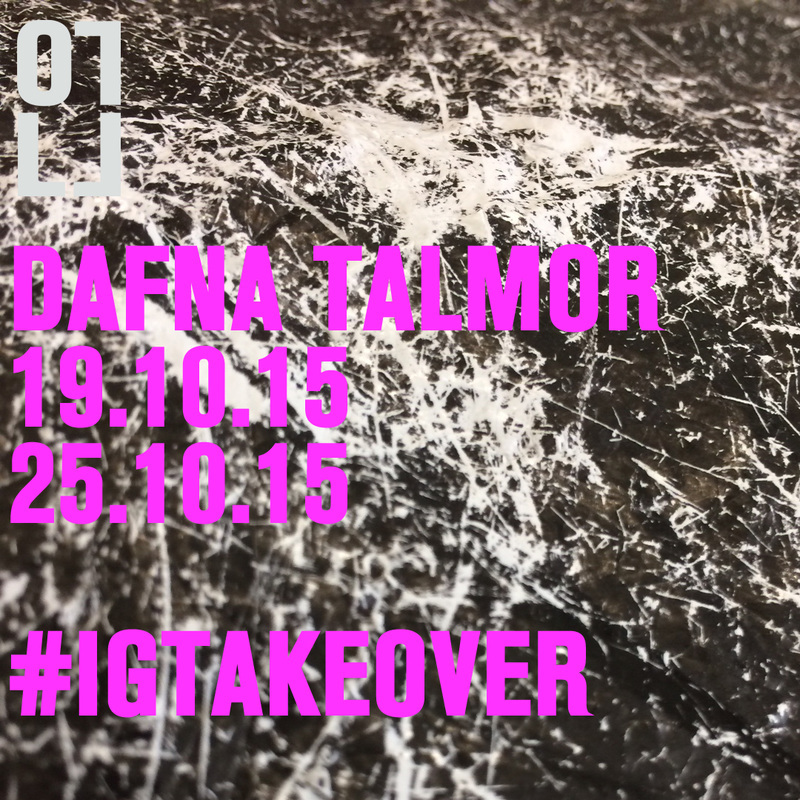 I've been invited to take over The Photographers' Gallery Instagram account between the 19th-25th of October, 2015. 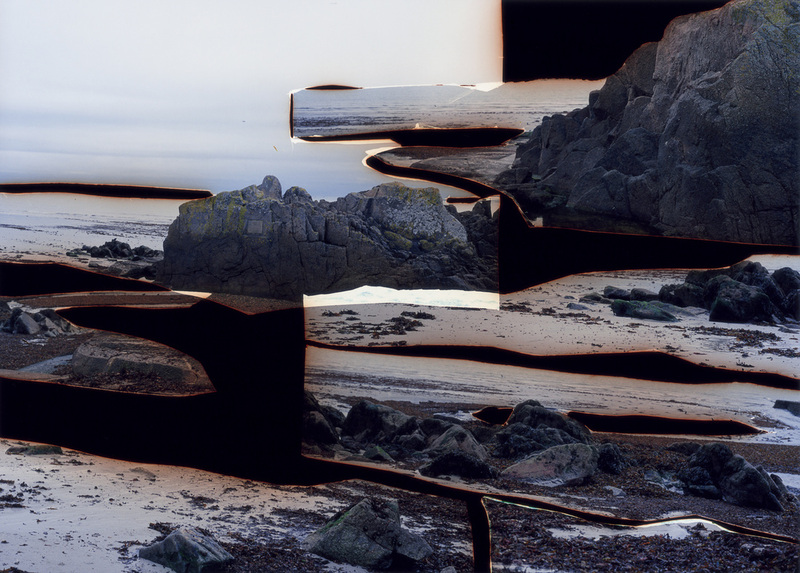 I'll be sharing images from my ongoing project, Constructed Landscapes, consisting of two sub-series of photographs made of collaged and montaged negatives. To check out my feed follow the link here. 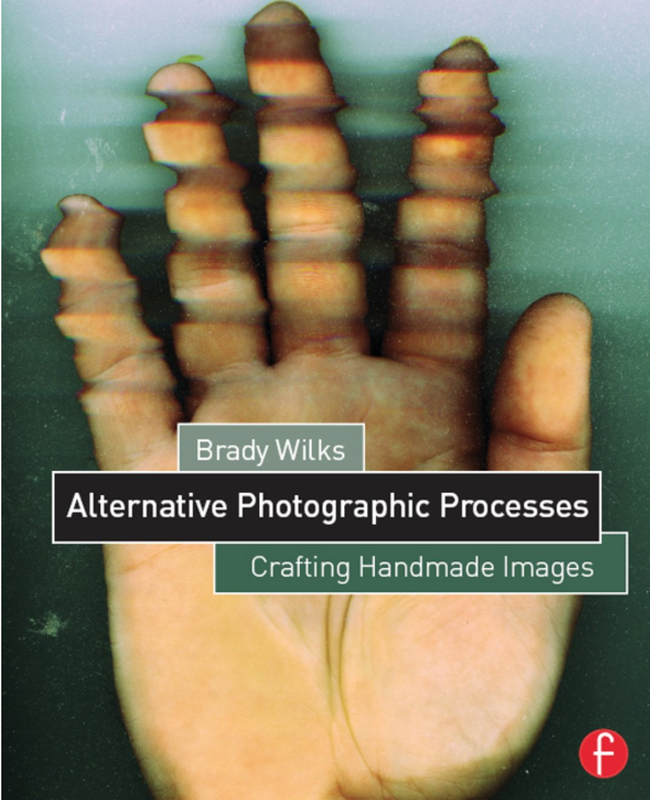 I'm delighted to announce that my work has been included in Alternative Photographic Processes:Crafting Handmade Images by Brady Wilks published by Focal Press. To purchase a copy please visit the Routledge website here. 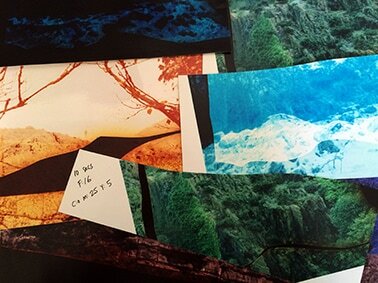 "Alternative Photographic Processes teaches techniques, both analog & digital, allowing artists to bring a personal touch through manipulation of a photograph, the negative, and the print. This book stands apart from recent publications on alternative processes by presenting a range of new approaches and methods to achieve popular techniques, as well as providing step-by-step guidance for an array of unique techniques meant to inspire artists working in various mediums. Through detailed guidance, working artist examples, and info about the contemporary use of these processes, this book will provide instruction for students, educators, and artists to expand their creative toolbox." 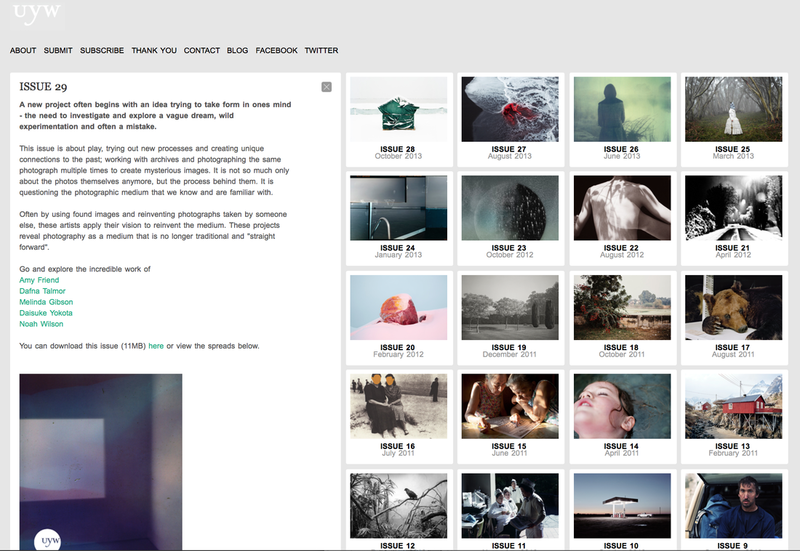 I'm pleased to announce that my work has been featured in the Projects section of the British Journal of Photography. To purchase a copy please visit the BJP website here. I have been invited to present my work alongside Lucia Pizzani and Esme Horne in a talk about alternative photographic processes. More info can be found here. 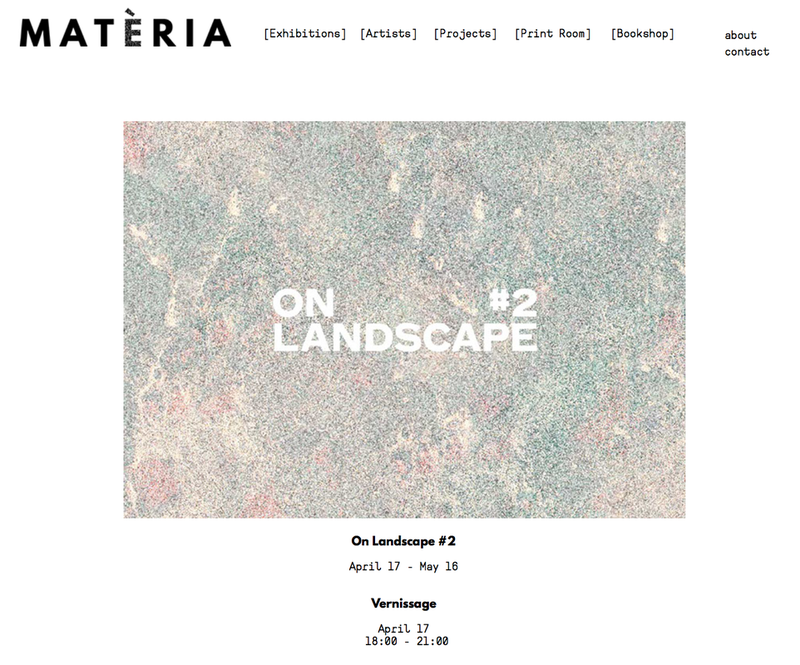 I'm delighted to announce On Landscape Project, an initiative co-founded with artists Minna Kantonen and Emma Wieslander, will be presenting their second exhibition in collaboration with Matèria Gallery in Rome. The exhibition will feature my work alongside Kantonen, Wieslander, guest artist Marco Strappato's and selected book artists sourced from an open call. More information can be found here. I'm taking part in an interdisciplinary conference at QUAD that takes as its starting point the main festival theme of ‘Evidence’. 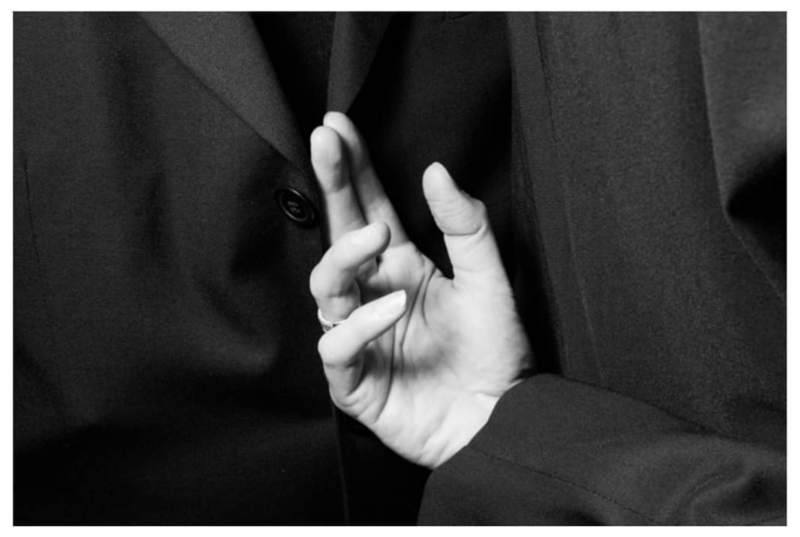 Each of the selected speakers – a number of whom are exhibiting work as part of FORMAT 15, with others selected from an open call for papers – explore the multi-faceted ways in which ‘Evidence’ can be gathered, examined, re-contextualised and disseminated. The conference day will feature talks by key invited speakers, panel discussions, PechaKucha sessions, culminating with a plenary. The conference is presented in collaboration with QUAD, the University of Derby and the Digital and Material Arts Research Centre, University of Derby. More info can be found here. My Constructed Landscapes series is April's featured portfolio on Photomonitor, an online magazine that focuses on artists using lens-based media in the UK and Ireland. Previously unpublished images are included in the portfolio. 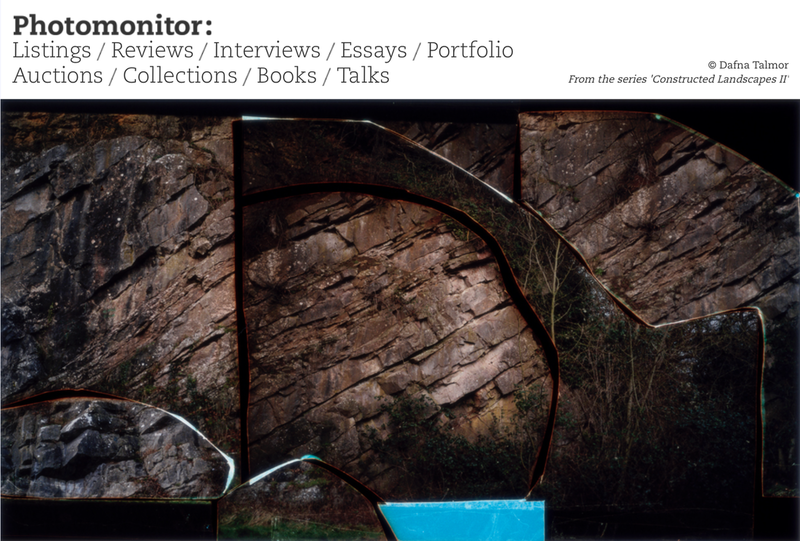 To view the portfolio and read more about the series please visit Photomonitor's website here. I was invited by Matter Collective to lead a one-day participatory photography studio event for FORMAT15 alongside photographers Tom Hunter and Francesca Moore. More info can be found here. I had the pleasure of taking part in a panel discussion with artist Aliki Braine chaired by broadcaster and photography critic Sue Steward. 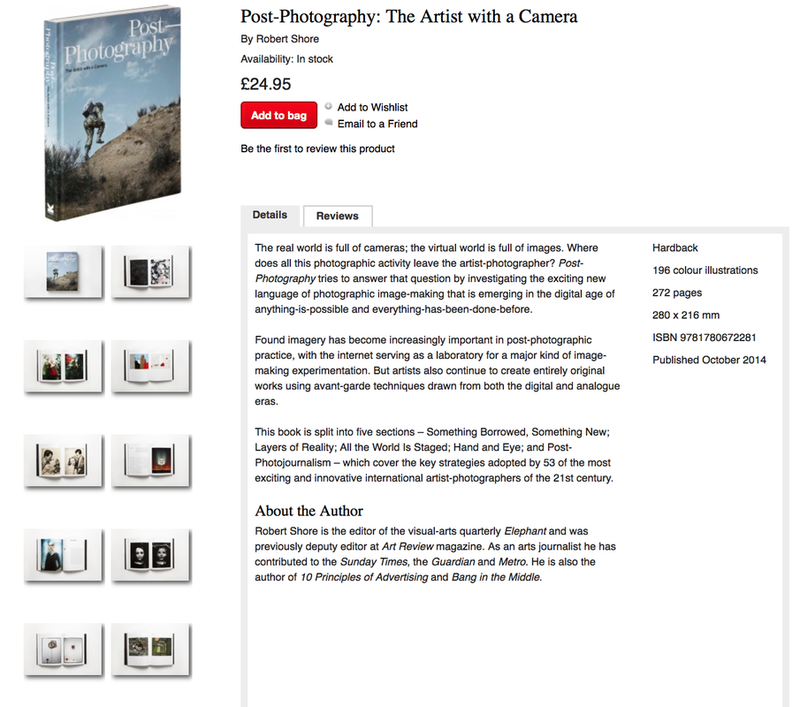 I'm delighted to announce that my work has been included in Post-Photography: The Artist with a Camera by Robert Shore. The book was recently published by Laurence King and can be purchased on their website here. "The real world is full of cameras; the virtual world is full of images. Where does all this photographic activity leave the artist-photographer? 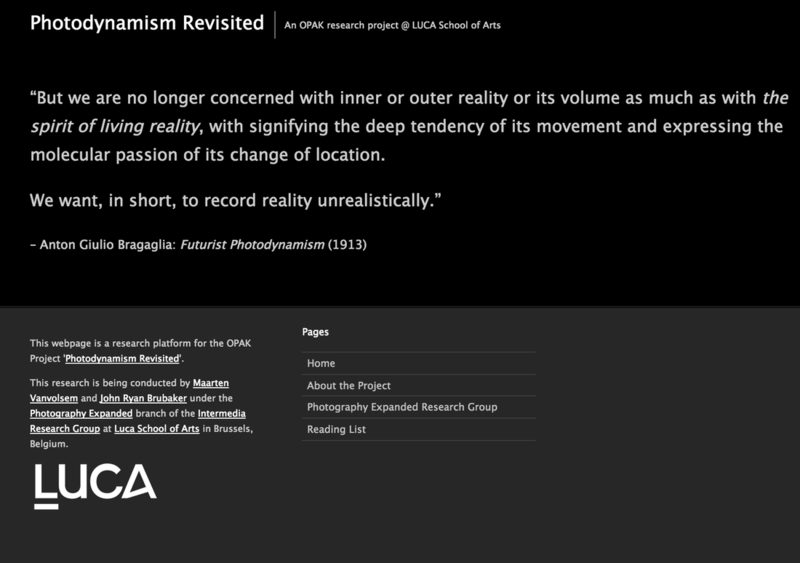 Post-Photography tries to answer that question by investigating the exciting new language of photographic image-making that is emerging in the digital age of anything-is-possible and everything-has-been-done-before." 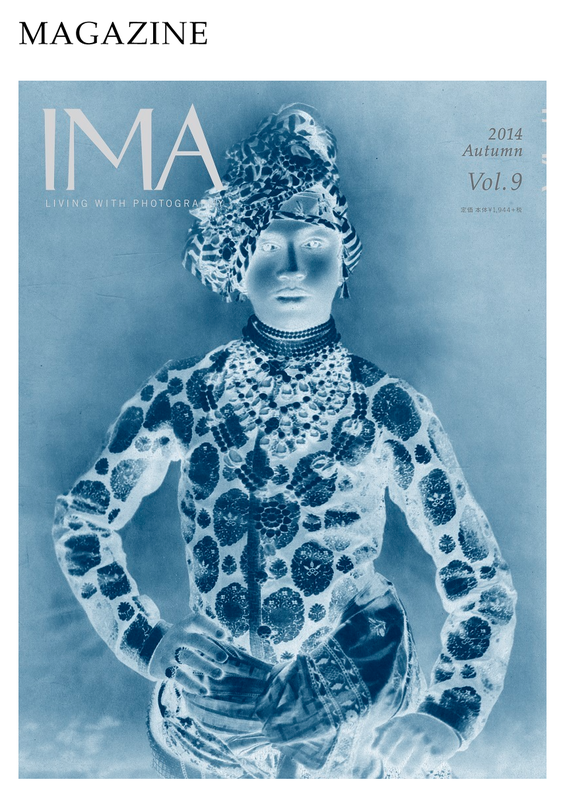 I'm delighted to announce that my work has been included in IMA's current issue in the Focus section accompanied by text by Martin Barnes, Senior Curator of Photographs at the Victoria and Albert Museum. To purchase a copy please visit the IMA website here. 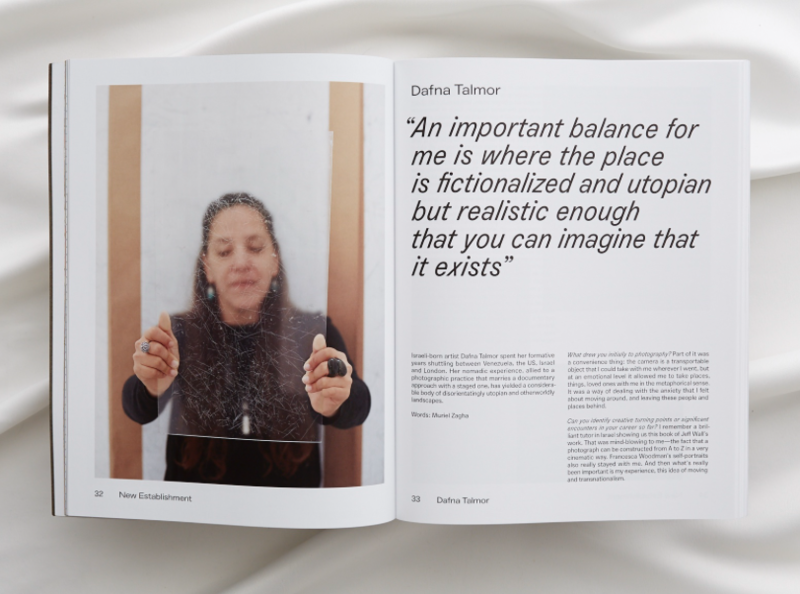 A bespoke, screenprinted folio containing four individually signed and editioned photographic prints by artists Minna Kantonen, Minna Pöllänen, Dafna Talmor, Emma Wieslander with an original text by acclaimed writer Lucy Soutter produced in collaboration with Sorika. This limited edition has been designed and produced to coincide with On Landscape Project’s first exhibition, On Landscape #1, that took place in London in March 2014 at Yinka Shonibare’s Guest Projects as part of their residency programme. For more information please visit the On Landscape Project website here. 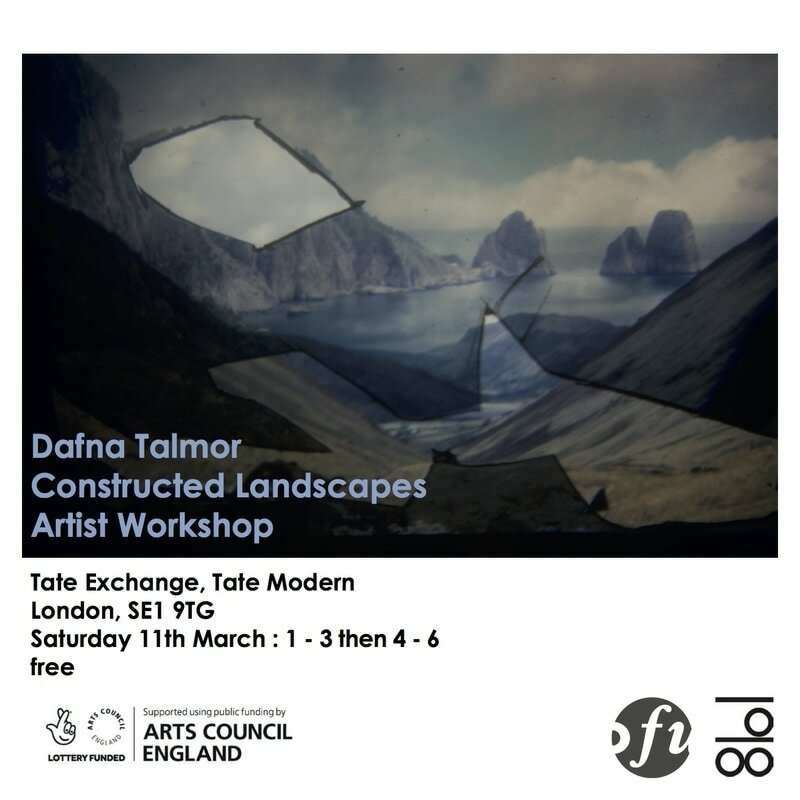 On Landscape # 1, the first of a series of exhibitions and events based on conversations between artists Minna Kantonen, Dafna Talmor and Emma Wieslander, aims to challenge traditional representations of landscape. 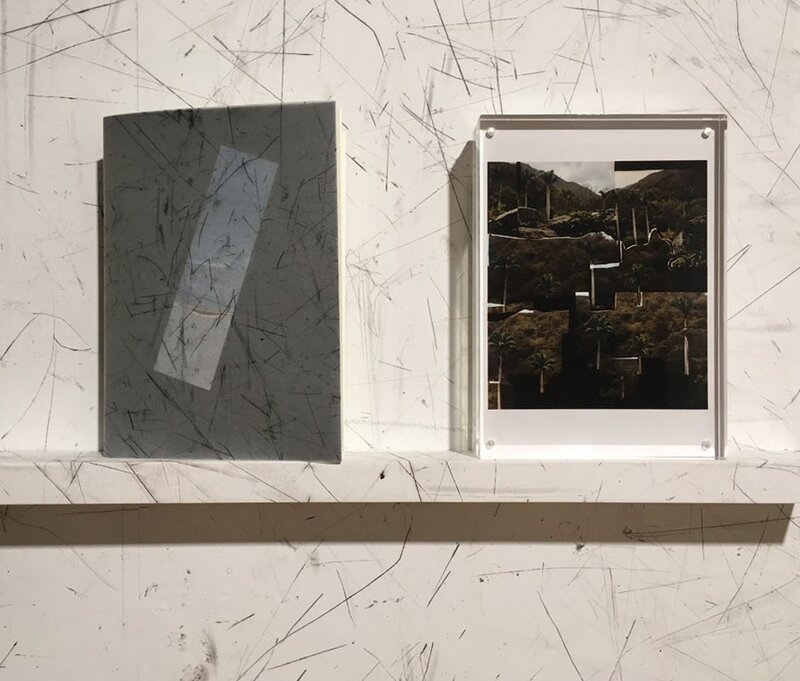 The exhibition, part of a one-month residency at Guest Projects, will feature photographic work by the three artists, a site-specific installation by invited artist Minna Pöllänen and book artists selected from an open call by Miranda Gavin and Bruno Ceschel. More information on the exhibition and correlating free events featuring Lucy Soutter, Miranda Gavin, Sue Steward, Martin Barnes and Christiane Monarchi can be found here. My Constructed Landscapes series is featured in the current issue of Unless You Will alongside a number of other artists. To view/download the current issue please visit the UYW website here. I'm delighted to announce that Emma Wieslander, Minna Kantonen and I have been awarded Grants for the Arts funding by Arts Council England for On Landscape #1, an exhibition and series of events we've co-curated at Yinka Shonibare's Guest Projects in London. 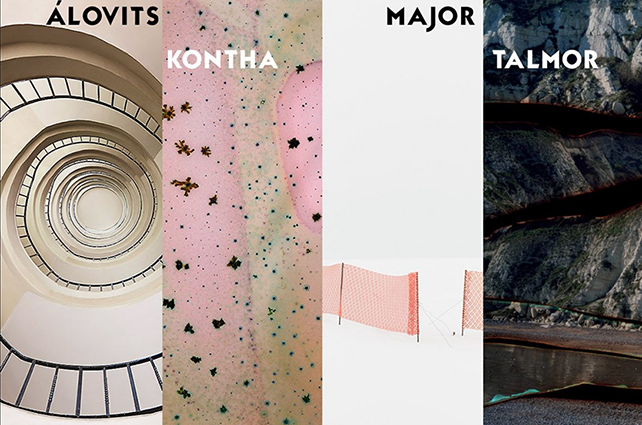 The exhibition, part of a one-month residency at Guest Projects, will feature photographic work by myself, Minna Kantonen, Emma Wieslander, a site-specific installation by invited artist Minna Pöllänen and book artists selected from an open call. More info can be found here. I'm delighted to announce that an image from the Constructed Landscapes series has been selected for the W-CA Contemporary Landscape Photography Open. Selectors consisted of Ivan & Heather Morison, Richard Billingham, Dan Holdsworth, Paul Seawright, Jem Southam, Pete James and Fiona Crisp. An exhibition flyer will follow soon. 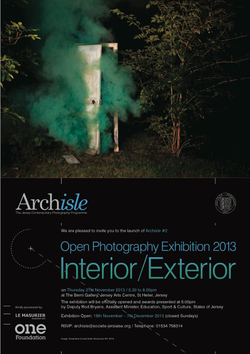 I'm delighted to announce that an image from the Constructed Landscapes series has been selected for the Archisle Open Photography Exhibition 2013: Interior/Exterior. The exhibition, coinciding with the Nostalgias: Visualising Longing conference, explores nostalgia for place, home, imaginary homelands. Focusing on photographic and sensory work that explores the interpretations of nostalgia and longing, the work in the exhibition is not in itself nostalgic, but investigates how nostalgia has manifested itself in contemporary art practice. Especially curated by Monica Takvam and Sam Vale to coincide with the conference, this exhibition brings together the work of 10 national and international artists from Taiwan, Norway, Germany and the UK, offering a unique range of questions and responses to what it means to long for another place. For one week in August I'll decamp to the seaside to transform the tiny wooden room of The Old Lookout Gallery in Broadstairs, Kent into a gallery-sized camera obscura, photo-studio and darkroom. Between the 16th to the 21st of August, I will be completing a one-week residency at The Old Lookout Gallery in Broadstairs. In order to cover residency costs, I'm holding a fundraising raffle. Tickets are £5 and the prize consists of an unframed 20" x 24" editioned and signed C-print worth £900 from my Constructed Landscapes series. The winner will select one of five available prints. Closing date 20th of August, 2013. 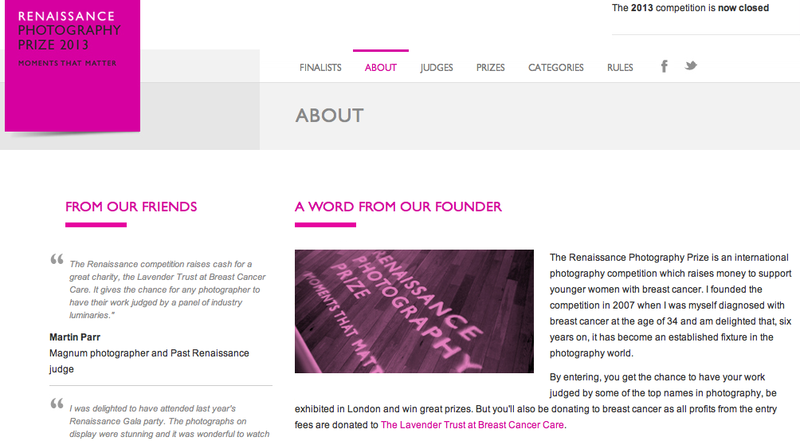 I'm delighted to announce that I've been selected as one of the Renaissance Photography Prize 2013 finalists with my Constructed Landscapes series. The panel consisted of Monica Allende, Simon Bainbridge, Julia Fullerton-Batten, Miranda Gavin, Nadav Kander, Chris Littlewood, Brett Rogers and Sophie Wright. For more information and tickets for the fundraising awards ceremony please visit the website here. 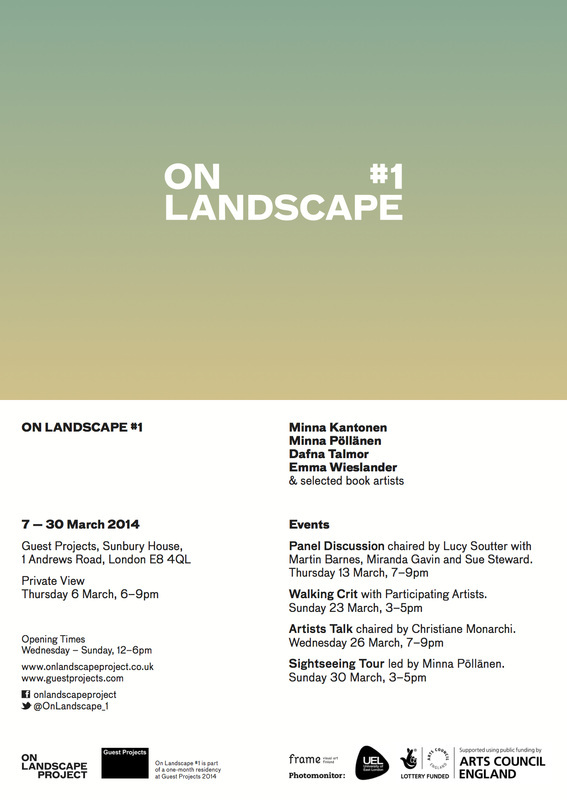 I'm delighted to announce that On Landscape, a project co-curated with Minna Kantonen and Emma Wieslander, was selected by Yinka Shonibare's Guest Projects for the 2014 programme. 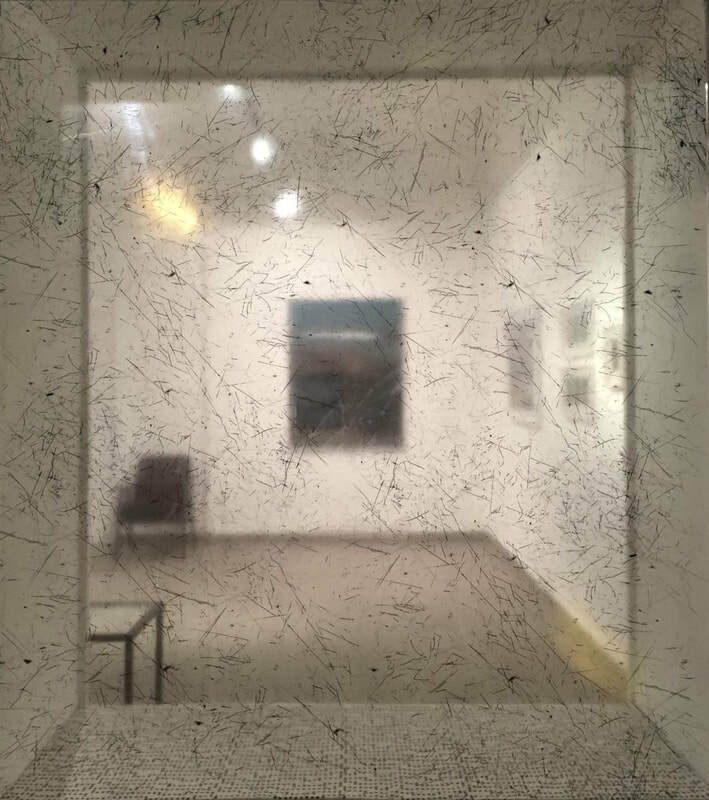 On Landscape, triggered by a series of conversations between the three artists revolves around a shared engagement with pictorial conventions of landscape. More info will follow soon. 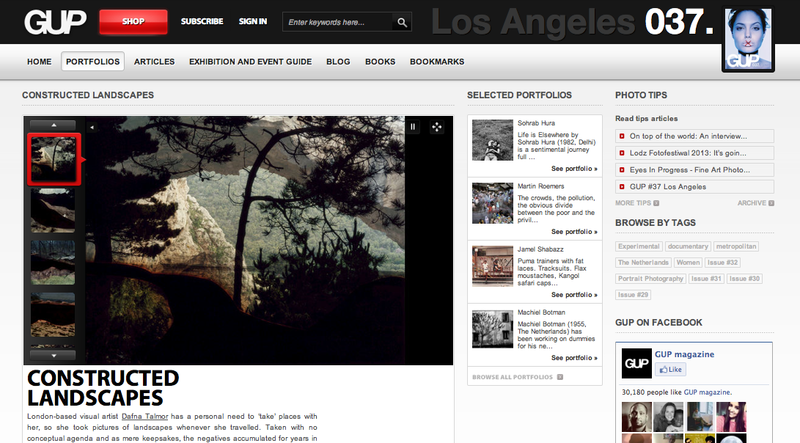 Constructed Landscapes is currently being featured on Unless You Will's page. Click here to view the portfolio. 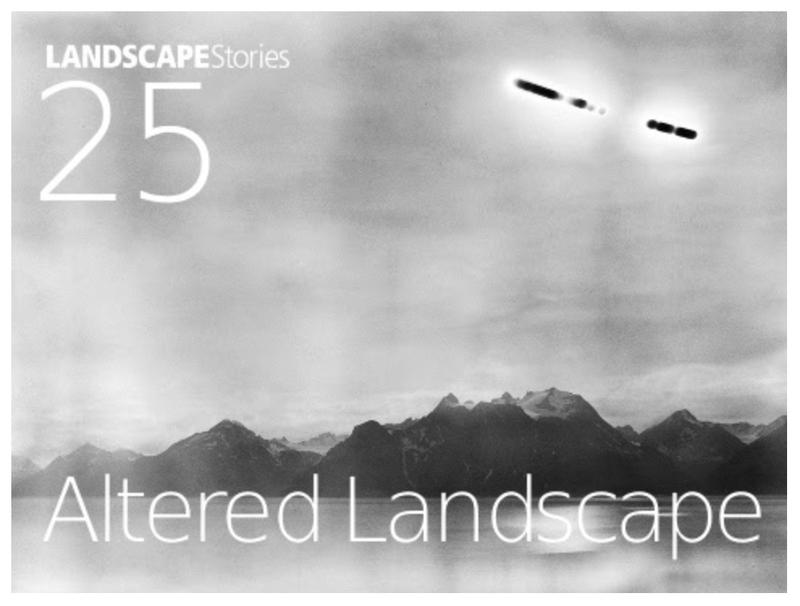 Constructed Landscapes is currently being featured on the Guide to Unique Photography's online publication. 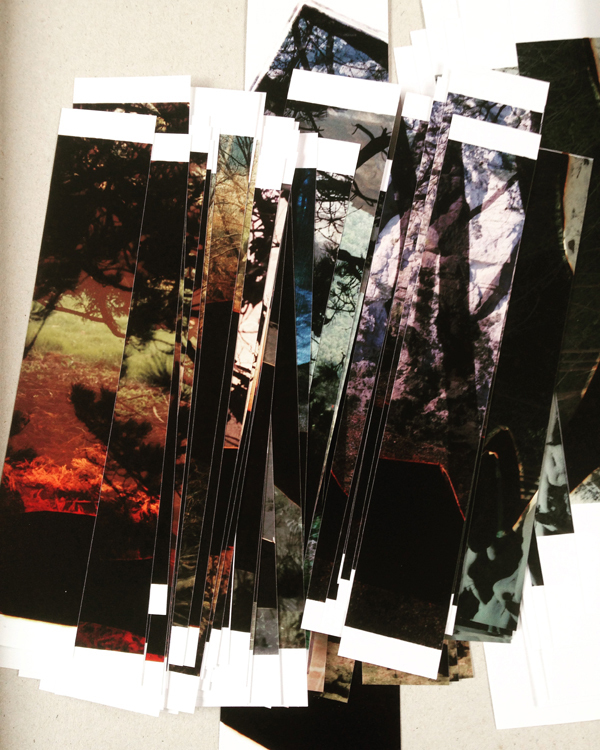 As part of my inclusion in the Photofusion Select/13 exhibition I ran a pinholes workshop with Year 9 & 10 students from Platanos College in collaboration with Photofusion. For a summary of the day read here. This workshop was supported by Photofusion and Arts Council England. 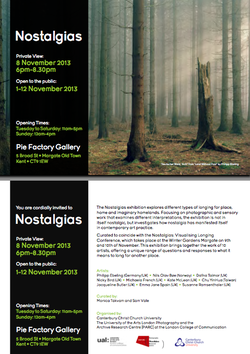 Artist talk about my practice alongside the three other photographers taking part in the exhibition. Read a summary of the evening here. 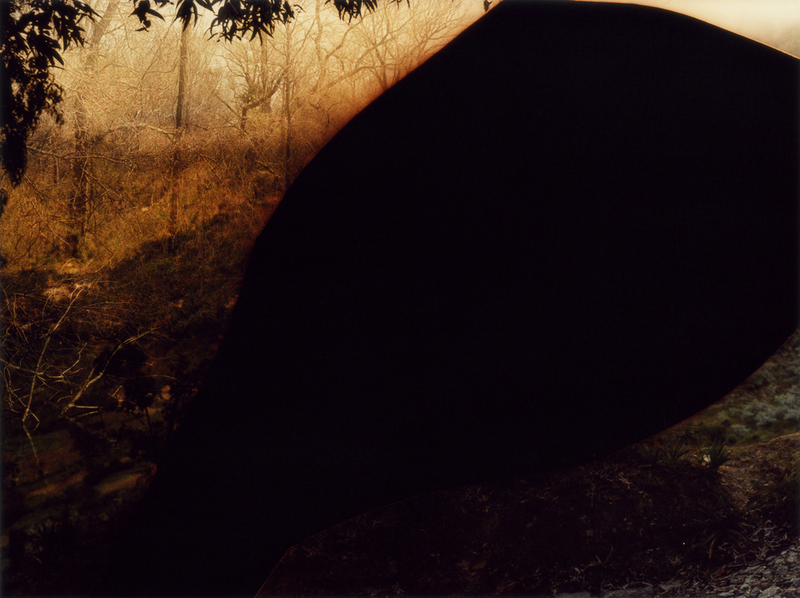 Along with three other Photofusion members that exhibited at the the Photofusion Salon 2012/13, I have been awarded a bursary of £500 towards exhibiting new, unseen work in the new annual exhibition Photofusion Select 2013. The exhibiting members include Carlotta Cardana, Ariadne Radi Cor and Tim Mitchell. I'm delighted to announce that I've been awarded Grants for the Arts funding by Arts Council England. 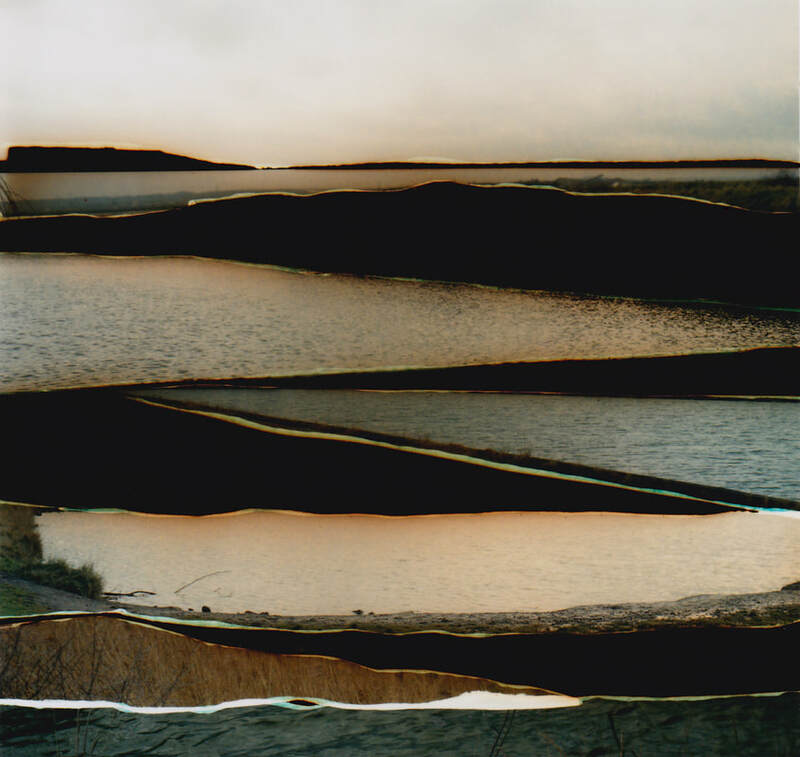 The award will support the production of the Constructed Landscapes series included in Photofusion Select 2013 between 3-31 May 2013 and an accompanying Outreach workshop at Photofusion Gallery in London. I've been selected to complete a one-week residency with my proposed project See View at the Old Lookout as part of their summer programme. More details will be posted closer to the time. An article by Fabio Falzone, Editor-in-chief at Lancia TrendVisions about Constructed Landscapes is currently featured on the Lancia TrendVisions website. 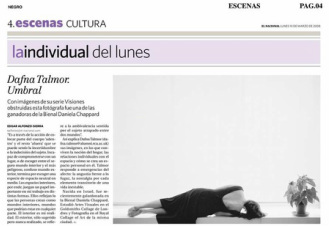 Group show celebrating the five year anniversary of the popular weekly section in El Nacional. My work originally featured in this section in 2008. 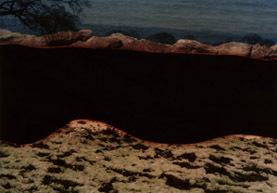 Images from the Constructed Landscapes are featured in Robert Shore's essay Post Photography: The Unknown Image alongside Aliki Braine, Jorma Puranen, Julie Cockburn, Charles Grogg and David Birkin. I'm presenting my current project, Constructed Landscapes, alongside four other photographers that include Simon Hipkins, Richard Kolker, Liane Lang and Tim Mitchell. A discussion and Q&A will be led by HotShoe deputy and online editor Miranda Gavin. I'm taking part in Photofusion's fourth Annual Members' Photography Show with an image from the Constructed Landscapes series. 118 photographers were selected to exhibit on the walls, along with a further 43 presented on a showreel. I'm presenting my Constructed Landscapes project at the Folio Forum led by Stefanie Braun, Senior Curator of The Photogapher's Gallery.